How much will my marquee wedding or event cost? How much will my marquee wedding or event cost? – It’s a good question. We could say ‘It depends, how much would you like to spend?’ Or ‘How long is a piece of string?’ But we know that wouldn’t be very helpful … So let’s explore the question in a little more depth, because in truth, marquees are available at all price points and it really depends upon what you are looking to create. It covers the simple to the sublime; but like cars, clothes, food, houses – or just about anything else you can think of, it depends how important the quality of product, service and delivery are to you. If it was all about price the entire nation would driving around in Dacia’s, wearing Primark and shopping at Lidl. And please don’t take that the wrong way, this is in no way a criticism of those brands, they each supply some great products with affordable price tags, and who doesn’t like a bargain? But there are times when quality and experience become more important than price alone. 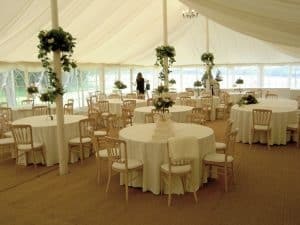 How do I ensure I get the right level of marquee at a price that suits my budget? Ok, so it’s a bit of a mouthful, but it is the right question. You could be planning a marquee wedding, a marquee party, a corporate event in a marquee or you could be looking to simply create a little bit of storage space, a sun shelter or, heaven forbid, a rain shelter for an event during the wonderfully unpredictable British Summer season. Before picking up the phone to any marquee supplier you should have a reasonably clear idea of how you’d like your marquee to look; you should have an outline budget in mind too. You’re probably wondering how to work out a budget for your marquee; many people have never hired a marquee before and so will have no idea of the costs involved and therefore no idea of how to factor out a reasonable budget for hiring one … so here’s a radical idea -don’t even try. Instead, think about what you are willing to spend on the entire event – That should make things easier. You know your financial situation and so you’ll probably have an overall budget in mind already. If not then you should spend a little time working out what you can afford and are willing to spend before picking up the telephone. Once you have an overall figure in mind it gets easier. Don’t be afraid to share your overall budget with suppliers – it will help them to guide and advise you. Ask for their advice too. Marquee suppliers pull events together week in, week out and have their finger on the pulse when it comes to costs. 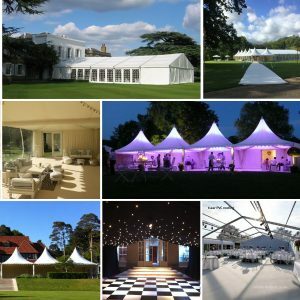 Marquee suppliers can help steer you towards a marquee design that will fit your budget and leave enough for other elements such as catering, bars and entertainment if required too. Be careful not to get carried away. 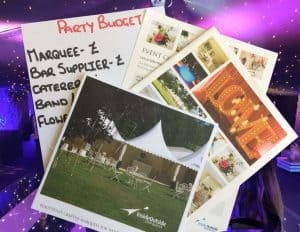 You’ll probably look at lots of beautiful marquee images online and it’s easy to get over excited and dream up a budget busting theme that leaves you feeling deflated once you receive your quote. 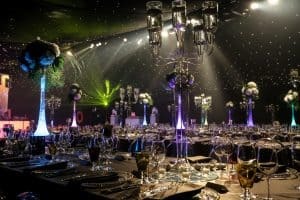 Many potential clients start by requesting that all of the most spectacular marquee elements are included in their quotation – sparkling starcloth ceilings, dazzling lighting displays, LED bars and mirrored dance floors for example. As you can imagine, these extras come at a premium. If the marquee supplier hasn’t been given an idea of your maximum spend but is asked to provide a quote that contains lots of premium features then they could end up giving you a price that blows your mind. What is truly important to you? If you have a set budget in mind then let the marquee supplier know. Also let them know whether you want something rustic, basic or with a premium feel. A good supplier will listen and then guide you towards a solution that fits your budget and meets your specification as closely as possible within the numbers you’ve given them. 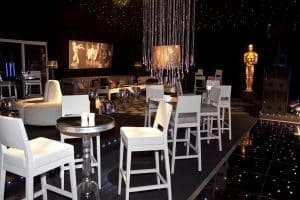 Marquee suppliers will be more than happy to include optional upgrades if they are putting together a formal quotation and this will allow you to decide whether you’d like to increase your budget to include any of these extra elements, or compromise in one area to allow an upgrade in another. It’s important to gather quotes from more than one supplier but be careful. Remember the opening paragraph of this blog? Marquees are available at all price points… there are economy brands, premium brands and everything in between. Some companies, such as Inside Outside, quote to include EVERYTHING you need to create a temporary venue for your event: Toilets, furniture, lighting, heating, power etc. while others quote for the marquee shell only – adding extras in at a later date, often after you have already booked with them. Some companies are able to supply everything you need and will coordinate with third party suppliers to ensure a smooth and stress free event. Others will supply the marquee element only and prefer to leave the organisation of everything else to you. …but removes much of the stress when it comes to arranging an event. 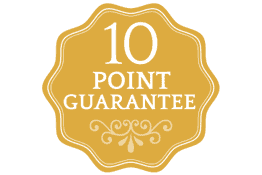 Inside Outside offer a 10 point Stress Free Guarantee because they understand the importance of great customer service. And Inside Outside use premium quality marquee materials in every build; solid structures that are rated to withstand winds of up to 80mph, high grade PVC, and lining manufactured in house so as to ensure a perfect fit within the marquees. Check out any potential supplier’s website, the images they show and the language they use. When you call a supplier take care to pay attention to the questions that they ask and the level of detail that they want to know about your event. The more care and attention a supplier gives you at this stage, the more likely they are to provide a great service all the way through your experience with them. Don’t be surprised to see this reflected in the quote that they give you – great service and great products usually cost more but as I hope this blog explains, it’s never without good reason. In a way we’re back to where we started -there are marquees available at all price points – but hopefully you now understand that the price is usually reflection of the quality of both product and service a supplier will provide. By taking the right approach, understanding your budget, and by working with your marquee supplier you’ll be able to find the best marquee solution for your event – at a price that you are happy to pay. Inside Outside are always willing to help, guide or advise, so please don’t hesitate to contact us if you’d like to discuss an event – we look forward to speaking to you.